Of the pictures I took in New York on our family holiday, the one I like the best is taken on the rocks in Central Park. It was still quite early on our first morning, we can’t quite believe we really are there and not just dreaming ourselves to be in some film or sitcom. The camera’s sitting on the ground using the self-timer. I brought back several hundred pics of skylines, towering buildings, venders, fire trucks, cabs, cops, this street and that avenue. Now when I look at them I think, so what? They’re just pictures of New York, like everyone else’s, they’re not knew, they don’t capture our experience of New York. (We loved it by the way) So this year I’m determined to get more pictures of my family; it’s probably the last time we’ll be four. Our kids are already too old to be coming on holiday with their parents but we’re paying so enough said. 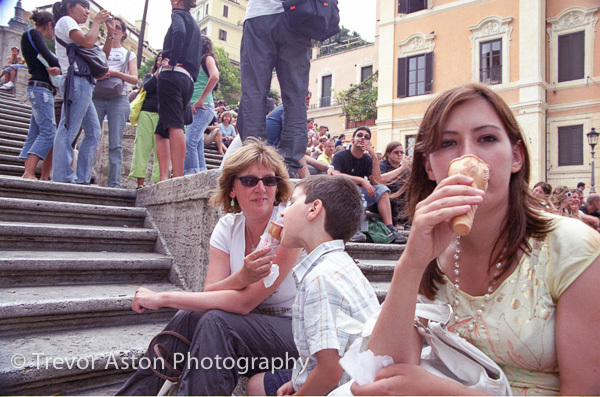 Not just the Spanish Steps in Rome, us enjoying ice cream on the Spanish Steps. Views are to be looked at and experienced, not photographed by me. Well, unless there’s a family member in the frame – all you tourists standing on Westminster Bridge getting a picture of yourself with Big Ben? Now I understand! My family is no keener on being photographed than any other, so I’ll have to negotiate. I’ll agree when I can take close-ups so they can be prepared. I will ignore the shot of the Taj Mahal over the water, but I shall make my son pretend to push up the leaning tower of Pisa. These are not going to be award-wining portraits, but they will be portraits of our family at a particular point in our lives together – they will be portraits with meaning. 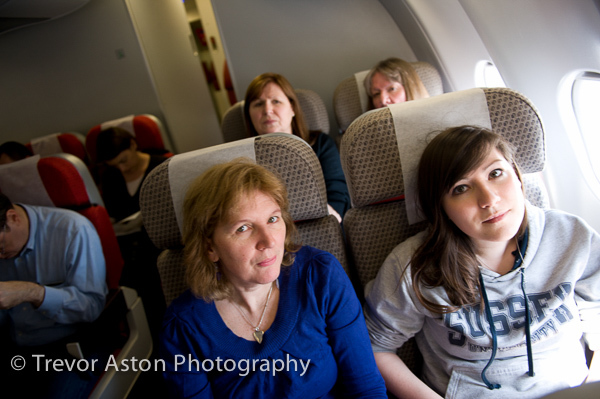 I was surprised how few pictures I had taken of my mum, only finding out when it was too late! 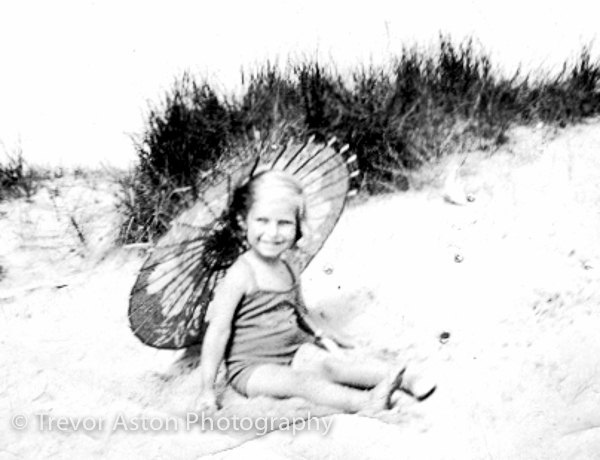 I’m so happy that I found this unique picture of my mum from the mid 1930s. 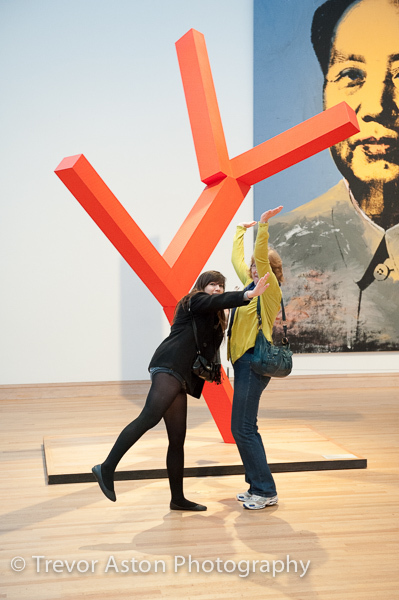 We all enjoyed our visit to MOMA, we had fun and this picture reflects it. What to do when you’ve already seen the film? Photograph your family! We love every bit of our kids, so not every picture needs a face in it. They won’t thank you for taking pictures that make them look like an idiot! No one looks good with their tongue out! 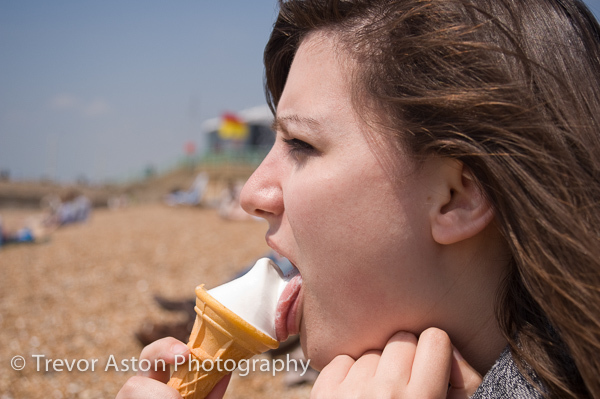 This entry was posted in advice, family, holiday, photography, portraits.